Hotdogs and beer: the dinner of champions. 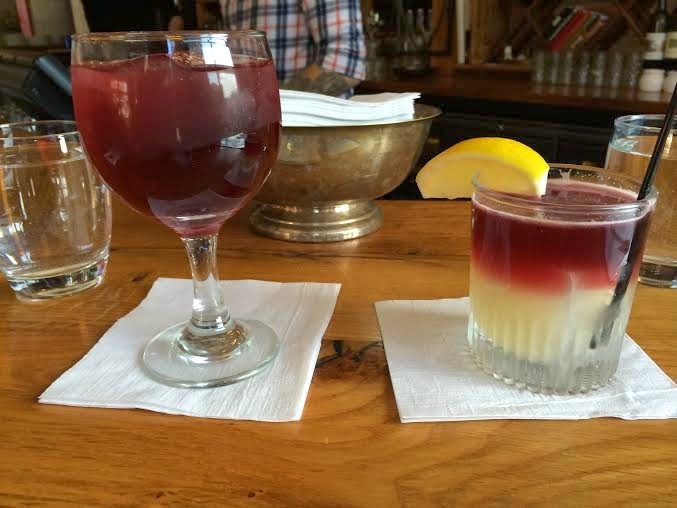 Franktuary has elevated this ballpark cuisine to new levels, and they mix one hell of a cocktail to boot. Happy hour runs on the early side here. Arrive at 4:00 to take full advantage of the specials, like half-price poutine (fancy talk for fries). 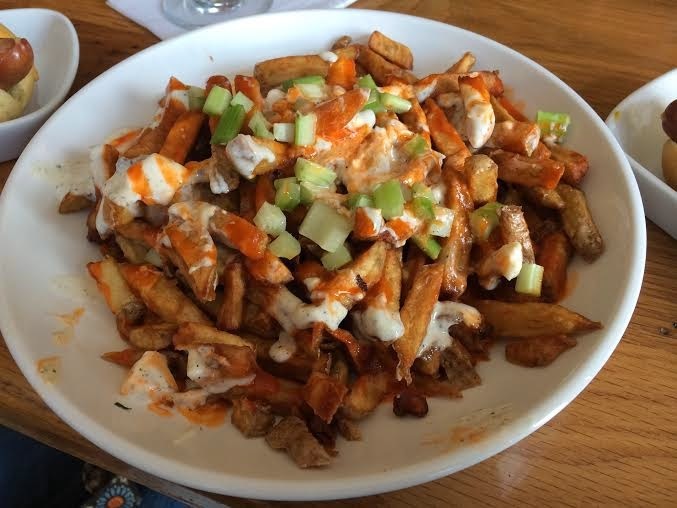 Unless you’re French Canadian/seriously love brown gravy, steer toward the Buffalo fries—a heaping plate of spuds topped with spicy wing sauce, bleu cheese, and chopped celery. Use a fork and keep your drinking hand free. On that note, the drink special includes $4 drafts and $7 cocktails, which is not a spectacular deal until you taste one. The old fashioned was one of the smoothest I have ever had. And the Pittsburgh sour, made with Wigle rye and Pittsburgh Winery zinfandel, does the Burgh proud. As far as drafts go, the bar offers a respectable selection of Pennsylvania craft brews… and Iron City. Corndogs are also half-price during happy hour, but stick with the shop’s claim to fame: frankfurters. The toppings are what make these dogs, and Franktuary lays them on thick. The Pittsburgh dog is covered with sweet, relishy slaw and baby pierogies, making for a truly unique flavor/texture combo. 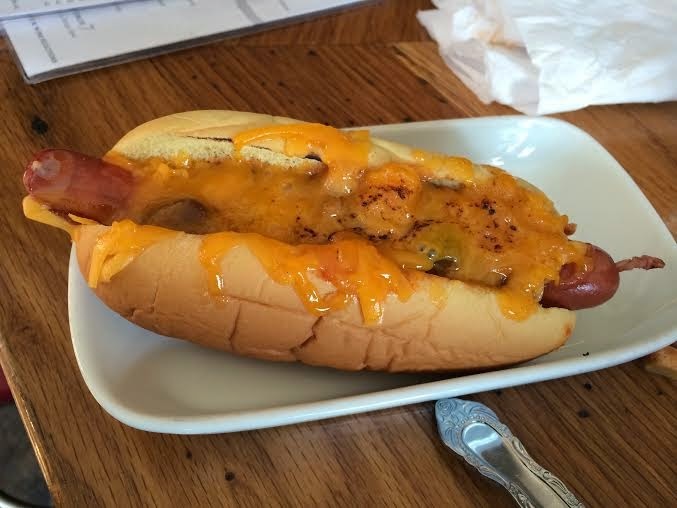 Franktuary’s take on Icelandic hotdogs, the Rekjavik, is a ketchup, mustard, and remoulade drenched dog with a powerful but not offensive onion bite. On the down side, the sauce to dog ratio can be too heavy at times, like on the New Yorker—a classic kraut, onion, and mustard dog where the spicy brown mustard dominates the palate and cleanses the sinuses (order this if you have a head cold). All in all, Franktuary’s happy hour runs a top-notch fry special and an average drink special, but this is a solid excuse to try some unusual hotdogs and high-quality cocktails in a great atmosphere. The Pittsburgh Sour sounds like reason enough to get there ASAP!